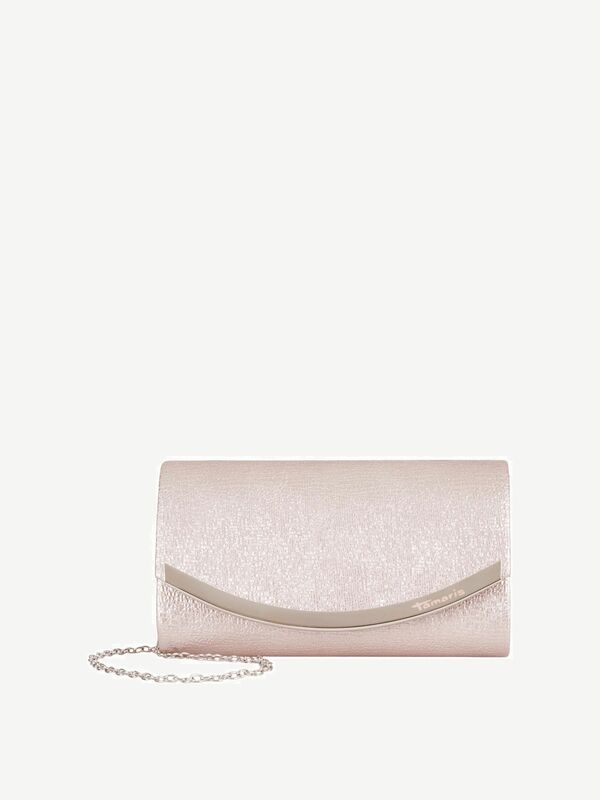 Zelda 2469172: Buy Tamaris Clutch bags online! This Tamaris clutch bag is especially striking thanks to the shiny outer material. The elegant embossing is completed by a clasp and a dainty shoulder chain. Thanks to these two accents, the bag is a real eyecatcher. It can easily be worn as a stylish shoulder bag and you can also store the chain inside the clutch and wear it in your hand. The elegant clucth can be combined with a lot of outfits and also has enough space for your keys and phone.